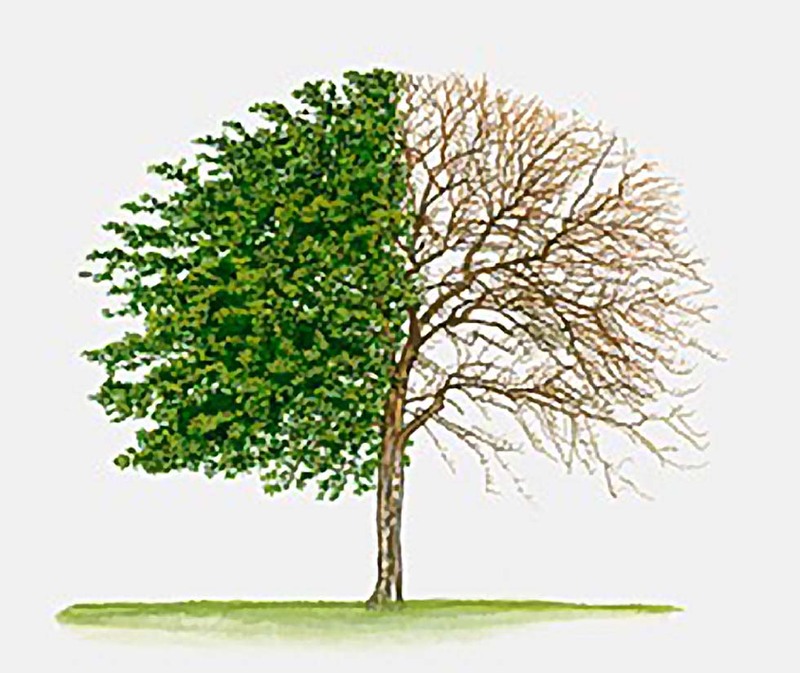 Last fall, some colleagues and I decided to set up a research working group, called the Sustainability Scholars’ Forum (SSF), and I’m excited that the centerpiece of our efforts is set to bear fruit soon — an interdisciplinary symposium on the theme of “Social Institutions and Sustainability.” The deadline for abstract submissions is coming within a week, on June 15, and the symposium itself is scheduled for September 11. 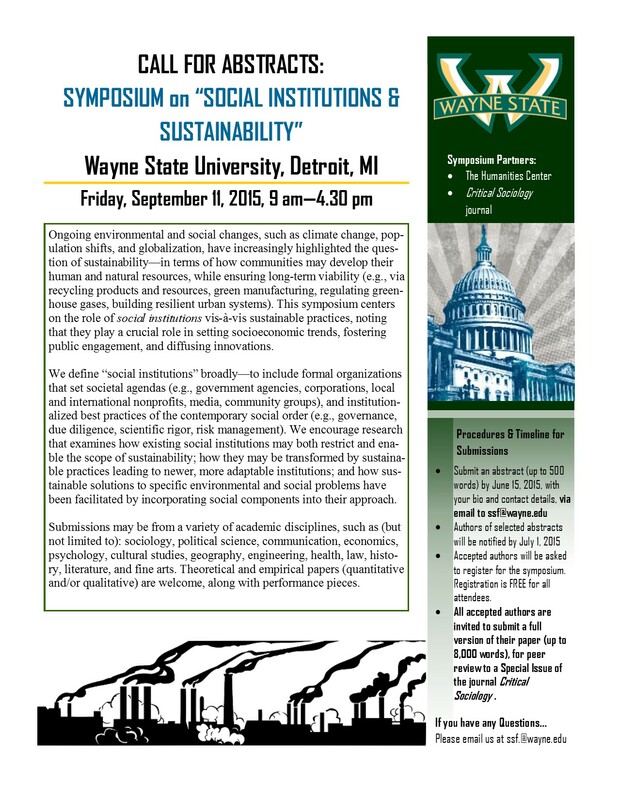 The symposium is planned both to showcase the work of SSF members, and to establish Wayne State as an influential institution nationwide in social/humanist studies of sustainability. Its theme centers on the role of social institutions vis-à-vis sustainable practices, noting that they play a crucial role in setting socioeconomic, cultural, and political trends, fostering public engagement, and diffusing innovations. We define social institutions broadly—to include formal institutions that set societal agendas (e.g., government agencies, corporations, local and international nonprofits, media, community groups), as well as institutionalized best practices of the contemporary social order and informal institutions (e.g., governance, due diligence, scientific rigor, risk management). As such, we are hoping to showcase research that examines how existing social institutions a) restrict and enable the scope of sustainability; b) how they may be transformed by sustainable practices leading to newer, more adaptable institutions; and c) how sustainable solutions to specific social problems have been facilitated by incorporating social components into their approach. Since it was formed, the SSF has grown quickly and we now comprise 26 members, meeting on a monthly basis. A key goal of this group was to facilitate networking and productive research opportunities among social science and humanist scholars from various disciplines interested in sustainability issues. With our participating members hailing from academic departments (and schools) as varied as Communication, Political Science, Fine Arts, Sociology, Economics, Social Work, History, Law, Anthropology, Fine Arts, Civil & Environmental Engineering, Chemical Engineering, and Physiology, we have certainly achieved this goal. At our meetings, we have hosted research presentations by six different faculty members, and exchanged information on grant announcements, research calls, and university news pertinent to members’ interests.